No Keyboard, Mouse, Display, HDMI or USB Converter is required for Raspbian Stretch Headless Setup!! Months back, We had published a guide for setting up Raspbian Jessie on Raspberry Pi without Keyboard, Mouse and External Display. Today We are back with an another guide for Raspberry Pi 3, Raspberry Pi Zero W and yes there is no need of any accessories like described earlier, which add up cost to our low budget Raspberry Pi setup. There are lot of guides available over the internet with label of “Headless” but most of them do not contain complete information required for successful headless setup. So let’s get started!! Download and install SD Formatter from SD Association website. Download and install Etcher from balena.io. Download and install 7zip from 7-zip.org. Download and install Notepad++ (Windows Notepad will also work). Download latest version of Raspbian which is Stretch (Raspbian Stretch with Desktop / Raspbian Stretch Lite) from official Raspberry foundation website (Do not use Noobs Operating System). Extract Raspbian Stretch image using 7zip. Insert the MicroSD card into card reader and mount it on to USB port. If you have old version of Raspian Jessie on to the card, just format the card using SD Formatter. Run Etcher and select image extracted already from downloaded zip file. Hit Flash button and wait few minutes. On windows 10 various pop ups many emerge, just ignore them and wait until it will say Flash Complete! SD Card may be unmounted automatically after flash process completes, unplug the SD card reader and plug it back. Ignore all errors messages pop up after inserting the SD Card Reader back and go for step C.
Reinsertion of SD Card will create two more drives in My Computer section. Ignore any errors or pop ups emerge (Do not format the drive this time as asked by Windows). Open up the Drive with “boot” volume lable. Create a new blank notepad file and save it in the boot drive as “ssh” without any extension in the end (See video for better understanding). Creating “ssh” file will enable ssh access and We’ll be able to configure our Raspberry Pi Zero Remotely. Create a new file in the same drive with name of “wpa_supplicant.conf” without any extension in the end and paste the following contents in there (Change SSID and Password according to your own network). wpa_supplicant.conf file will be copied to /etc/wpa_supplicant/ directory on boot and our Pi will be connected to WiFi network automatically. Save the “wpa_supplicant.conf” file and remove Micro SD Card Reader. Insert the card into Raspberry Pi and you are ready to go. Watch our video tutorial for better understanding. As your Raspberry Pi is directly connected to your WiFi Router, consult your Router’s manual to find out the IP address assigned to your Raspberry Pi. For example, you can find out the IP address in TP-LINK router under DHCP > DHCP Client List. PuTTY is an SSH and telnet client widely used to access Raspberry Pi for installation and configuration of various applications remotely. Download 32 bit / 64 bit PuTTY installer and install PuTTY in your computer. Launch PuTTY and add IP address of Raspberry Pi under Host Name e.g. pi@192.168.50.31 where pi is the User Name. Click Open to initiate the connection. You will be asked for password to login to Raspberry Pi. Default password is raspberry. You can save these credentials for future use to avoid typing the IP address each time you want to access Raspberry Pi. Just enter the details as described earlier, enter a name under Saved Sessions field and click on Save. To load these credentials, click the Saved Session name created earlier and hit Load. A new message passwd: password updated successfully will confirm that you have successfully changed your default password for user pi. Are you tired of typing user name or password each time accessing your Raspberry Pi via ssh? Here is a solution with security benefits added up. In this setup we’ll use two kind of keys i.e. public & private to access our Raspberry Pi. Public key is stored (discussed under Server Side heading below) on Raspberry Pi and private key is used by PuTTY (Client Side) to authenticate the login. 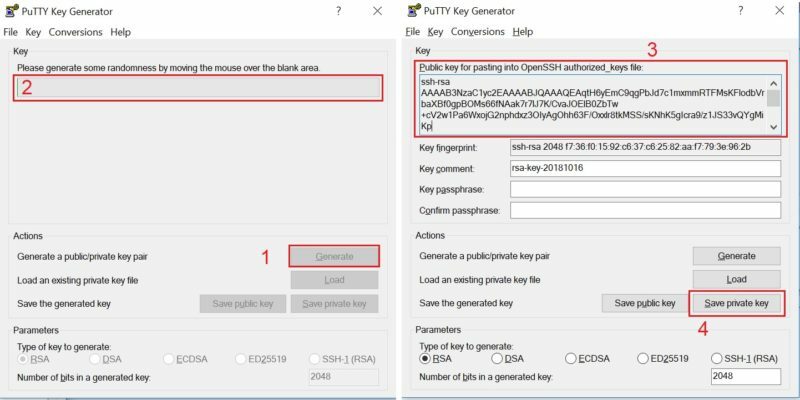 PuTTY comes with another application named as PuTTY Key Generator. We’ll use it to generate our private & public keys. Launch the PuTTY Key Generator and hit the Generate button. Now it will ask you to move your mouse cursor on a grey-green rectangular area for generating randomness. Just move your cursor up and down, left and right over the rectangle until green bar fill the space up and soon it will end up creating our desired keys. 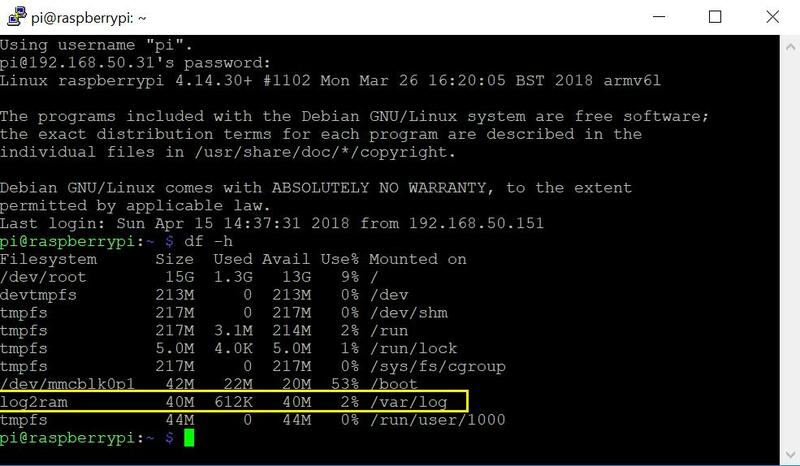 By default Log2Ram writes to the HardDisk every hour. If you think this is too much, you can make the write every day by moving the cron file to daily. 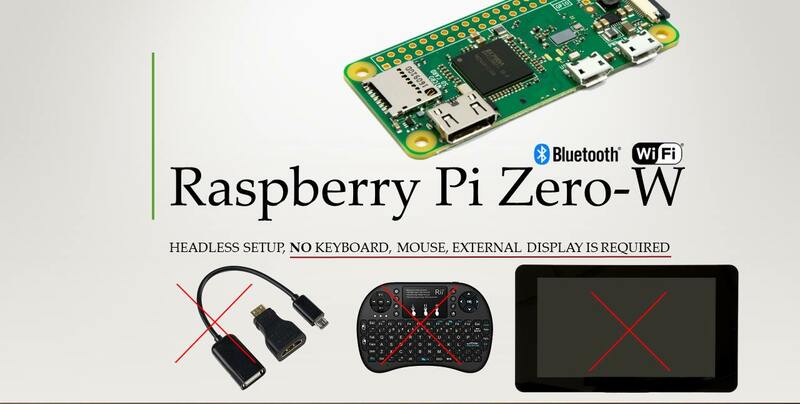 This entry was posted in Raspberry Pi and tagged guide, headless, Install, Pi, pi-zero, Raspberry, Raspbian, setup, SSH, stretch, w, zero-w.
After installation it’s working fine using putty or vnc, but once I restarted it becomes unavailable. Can you please help me accordingly? Hello. Did you assign static IP address to your Pi? I suspect, IP Address got changed after restart. You have to enable ssh-server in raspi-config settings. Adding ssh file to the boot dir makes it awailable only on firs boot as far as I know. And one more thing to do on headless setup is to expand root filesystem from raspi-config. No. Adding ssh file permanently enables ssh. how do you find the IP to connect to the raspberry? I followed your guide and then I searched using advanced IP Scan and also using the methode of your other video https://hobbytronics.pk/accessing-raspberry-pi-on-first-boot-without-keyboard-mouse-and-display-directly-from-pc-using-ssh/ but I can’t find the IP of the Raspberry PI. Are you sure that this methode work for the lastest version? I’m using the rasbian image of June 2018.